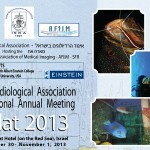 We are pleased to forward to you the program for the forthcoming International Annual Conference of the Israel Radiological Association to be held at the "Dan" Hotel, Eilat, Israel, October 31 – November 1, 2013. As in the past years we will host the members of the Israeli-French Association of Medical Imaging AFIIM and the representatives of the SFR (French Radiological Society). 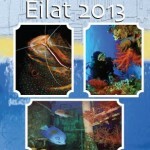 ממוגרפיה, רדיולוגיה של מערכת השלד והשרירים ועוד.